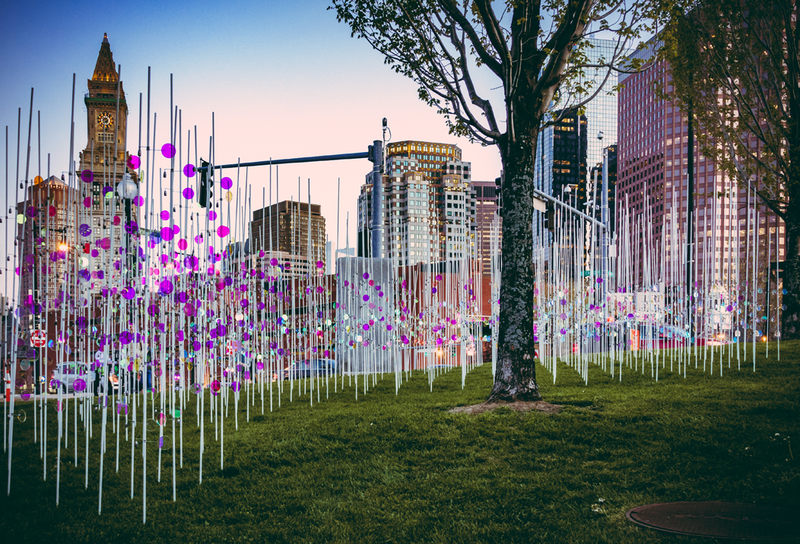 This installation is an abstracted marsh landscape that brings attention to the shifting boundary between land and water along Boston’s shoreline. This shifting boundary occurs at multiple scales: through daily tidal fluctuations, historic man-made land reclamation, and potential future flooding due to sea level rise, caused by climate change. 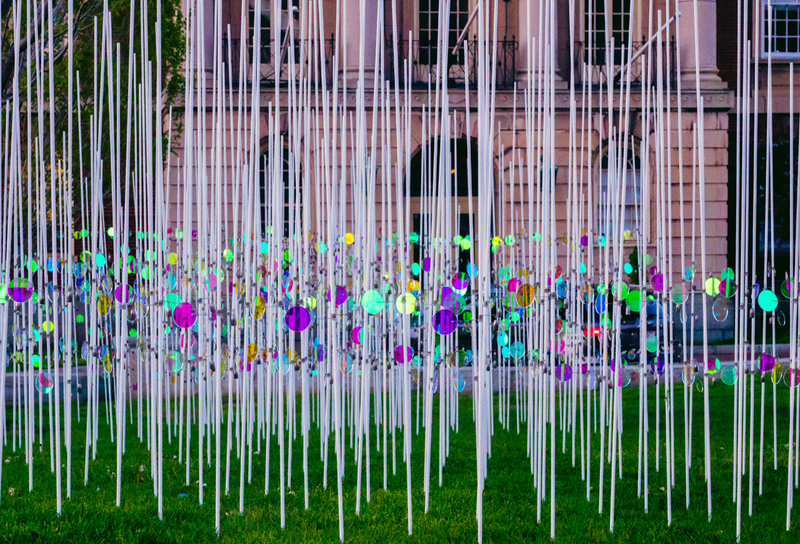 The installation is located at the edge of one of the areas with predicted flooding due to climate change, and uses the existing sloping topography of the site to visualize an imaginary 2ft. 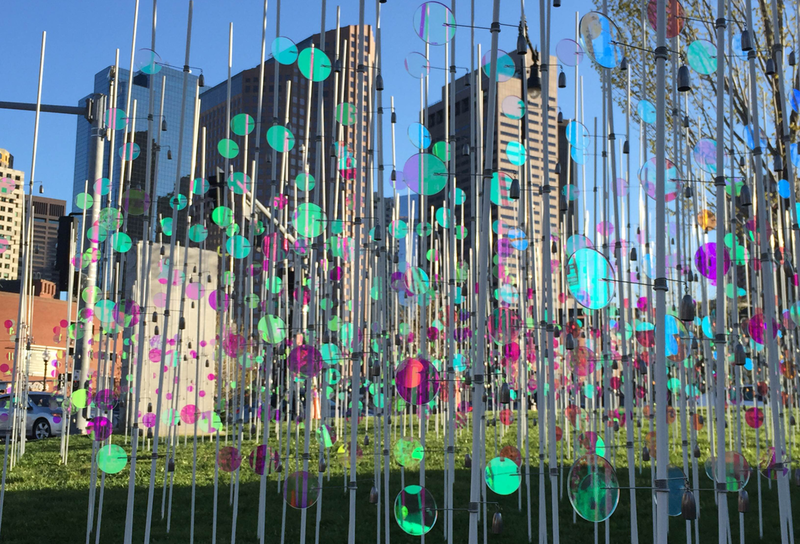 “flood line.” Fiberglass rods represent marsh grasses; kinetic dichroic plexiglass circles represent the volume of water of the flood. 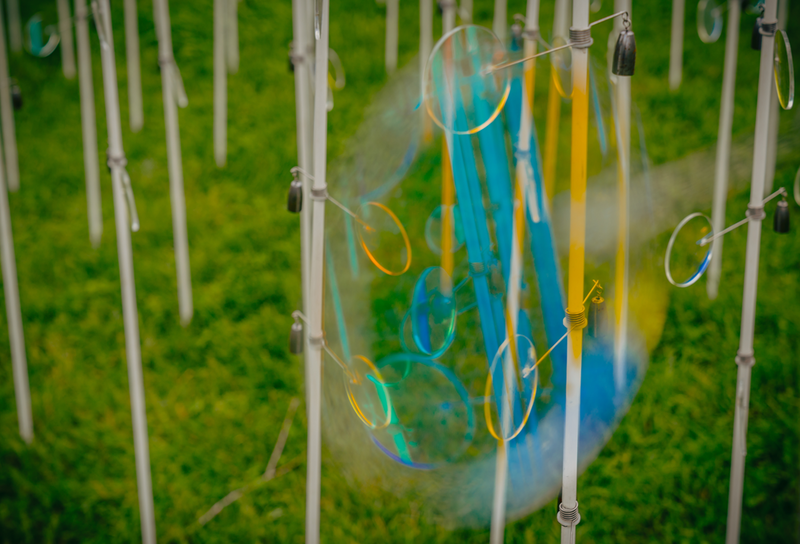 The circles are activated by the wind, spinning freely in response to the predominant wind direction, reacting to the different qualities of light, and creating a visually engaging display of color.